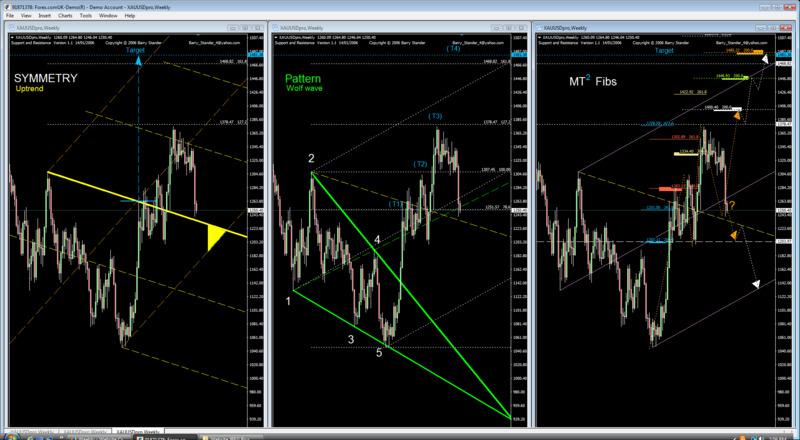 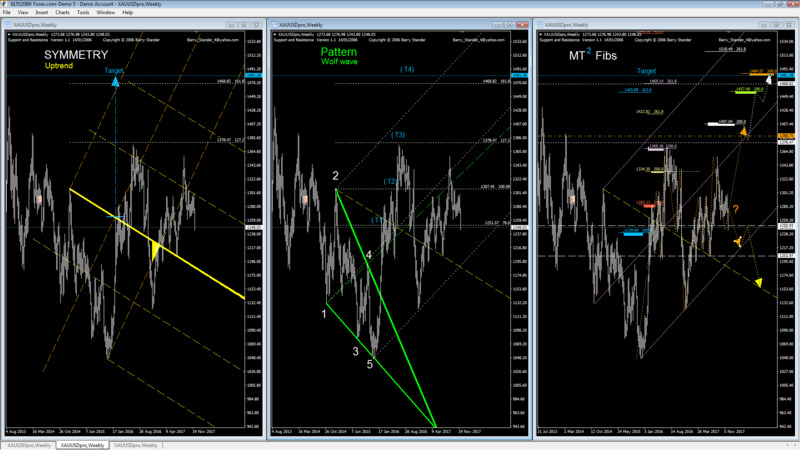 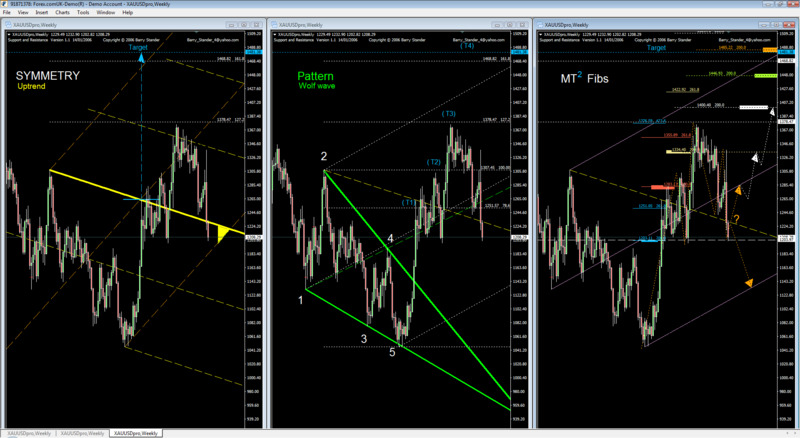 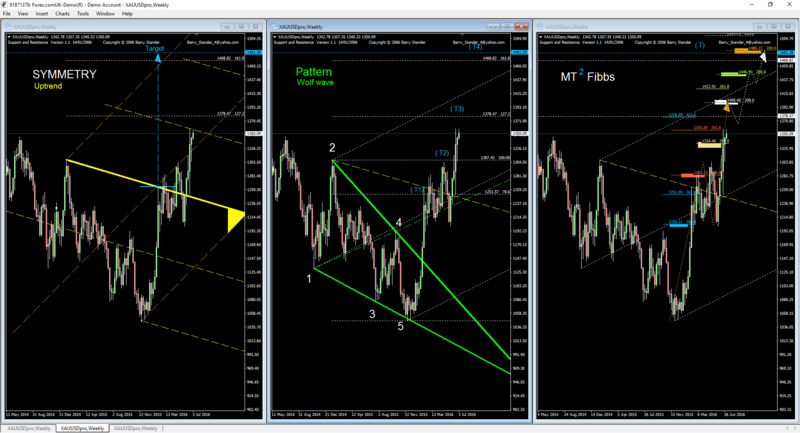 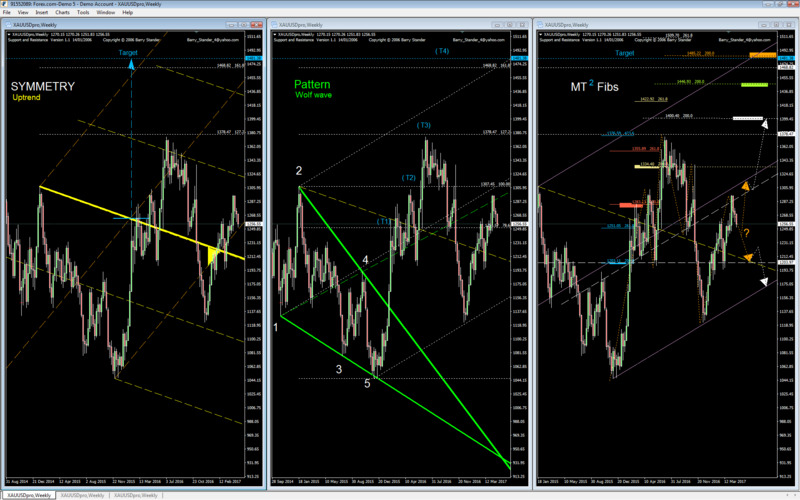 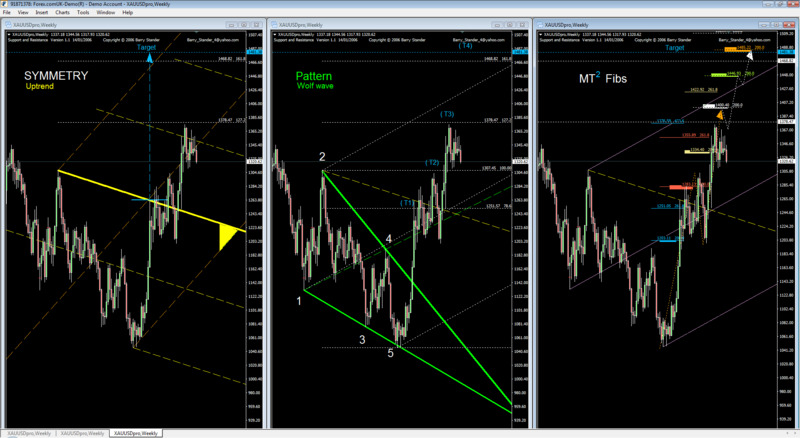 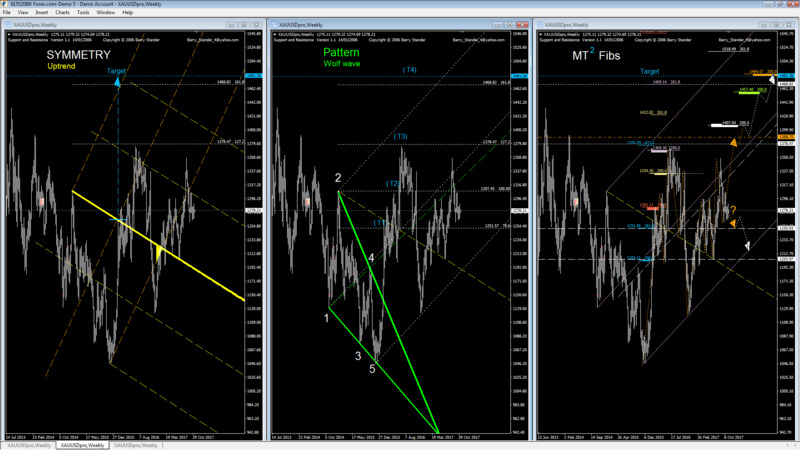 target (blue) at 1481.38 which corresponds to target #4 at 1468.92 on the wolf wave pattern ( middle). 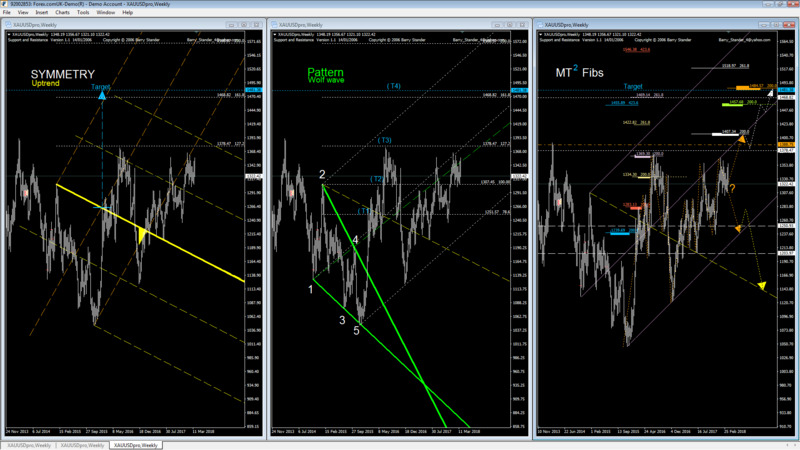 upward toward target #3 at 1378.47.
rectangle) and AT $1485.22 (orange rectangle). 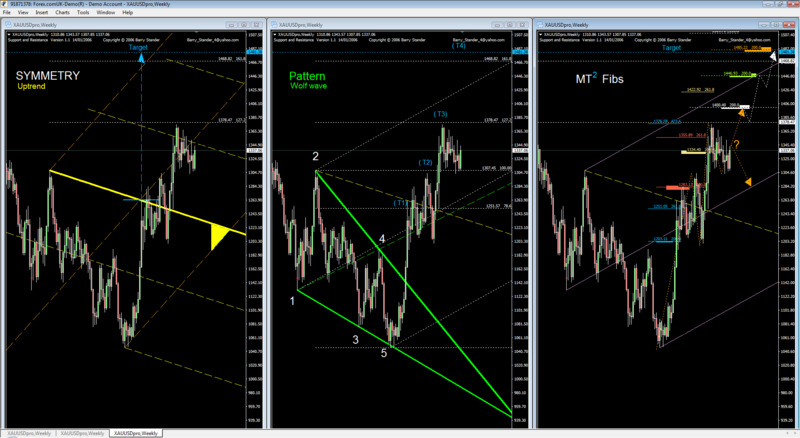 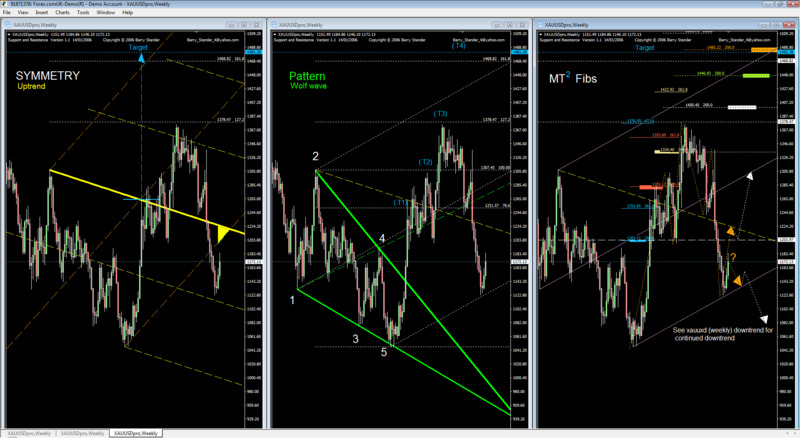 these targets are projected Swing HIGHS, "point of Exit"
the trade set-up, "point of Entry". 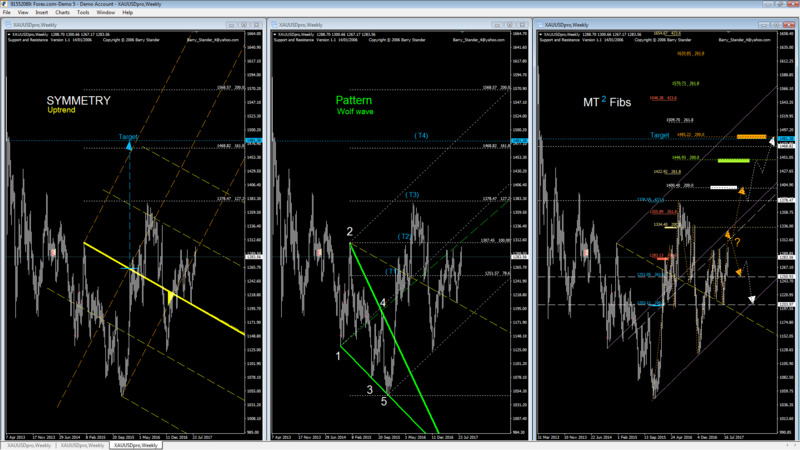 has moved between fib E200% at high of $1369.30 (grey rectangle) and low of $1123.28 (white dot line).
. the mc&t forecasts that price might continue on a downtrend to be followed on the monthly chart.